If you are a hair freak like we are, you would admit that at least once, you have looked at Virgin Malaysian hair weaves and thought.Wow! These are so shiny they could replace the sun! Well, that can't exactly happen but yes Malaysian hair weaves are incredibly glistening! Not to mention that they are usually bouncy and retain their curl patterns even in adverse conditions. Sadly, a lot of ladies still do not know that the rather open secret to keeping their virgin hair weave as shiny as new is simply by washing them. That's it! If you want to use your weaves for as long as possible, just wash it! Think about it! 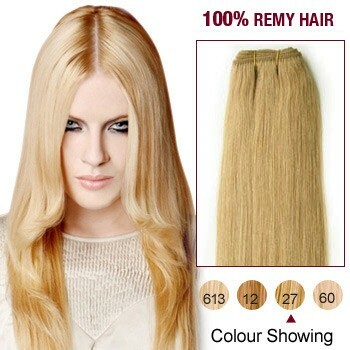 When your hair extensions cost a fortune, it is only right that you devote quality time taking care of it. So why do people choose not to do it? Because they fear they would do it wrong and ruin their expensive weaves.Contrary to popular misconception, washing virgin hair weave is as simple as reciting the letters of the alphabet. 1.Part your hair into two sections at the middle from the front to the back and let the sections rest on your chest. Detangle your Malaysian hair gently with a paddle brush or wide toothed comb. 2.Starting close to the top of the weft where the tracks are, wet your hair in a downward motion with warm water. You can do this in the shower, sink or bathtub with a bowl of water depending on what ever location is comfortable for you. Here, you need to be careful as you would not want to soak the tracks under your weave. 3.Once you are satisfied with the wetness of your weave, apply a small amount of moisturizing shampoo and wash gently working your way down. This is to remove initial dirt and excess oil. Trying to wash your hair at the stage, you will discover that your virgin hair weave would be difficult to lather. This does not have to get you in panic mode. This is totally normal. Rinse and repeat the process until the water runs clear. 4.Apply your conditioner: We would recommend pure conditioners (Conditioners with natural ingredients) Leave your conditioner in to saturate for at least 15 minutes and rinse your hair. If you do not feel comfortable about your rinsing your conditioner off, it is totally fine if you want to wash it in for a bit. Whatever you do, be certain to rinse thoroughly after each step of washing to prevent product build up. 5.Finally, between air drying your hair and sitting under a dryer, the choice is yours. It makes no difference. Before drying, apply your leave in conditioner or any natural hair oil of your preference for better moisturizing and an ultimate shine. It is very important to let the tracks of your hair get dried before you step out or before you retire to bed. Reason being, it could give you that not-so-cool awful smell of a septic. Take note, the use of downward motion when it had to do with wetting and applying and washing was incessant. It is imperative that you do all these in a downward motion because if you get your tracks too damp, your mode of installation especially if it is glued in, would start giving way and this could pose a problem. To ensure that your hair vendors never loses its characteristic shine, it is recommended that you wash them every ten days. Washing them daily or once in two months is the best way to say good bye to them! Did you like this article?Then you would like the other articles on our website as well. And since we are already here, you wouldn't mind sharing our website would you?